Narendra Dabholkar has become an icon of rationalist thought in India, but his works being mostly in Marathi are understood by few non-Maharashtrians for either endorsement or criticism. I am attempting to translate some of his speeches, so that his thoughts may reach more people and inform opinions. This is part 2 of the speech, starting around 11:30 minutes into the speech. 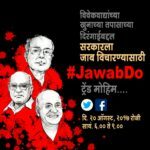 Part 1 is here: Narendra Dabholkar’s speech on tradition and superstition – English translation Part 1 The act against black magic and superstitions may not have been passed (It was passed after his murder), but nobody noticed that a law containing “Dev” (God) came into force in Maharashtra four years ago. The name of that act is Devdasi Prevention act 1934. It got amended four years ago. Now, if you marry a girl who has completed eighteen years of age to a God, then the person conducting the wedding is a criminal, the person marrying is a criminal, the parents of the person being married are criminals and those attending are criminals. You cannot say that parents and girls are willing, so what is your problem? When I untangled the first jat (dreadlocks): We oil and comb our hair daily. Poor girls in rural areas may not. Sometimes their hair gets tangled and the tangles keep increasing and they are not able or don’t untangle them. Once it starts becoming visible someone says “This is Yellama’s jat.” Then slowly they start offering her vermillion and turmeric, then applying banyan tree sap, then eventually she starts “channelling the goddess”, then she starts taking the goddess for worship around the village and eventually becomes a devdasi and lands up into prostitution. The jat that this whole thing begins with, the first time I untangled it, was 27 years ago. I still remember there was a beautiful eighteen year old girl called Mangala and I convinced her to untangle her old dreadlock. It was a four year old thick and long dreadlock. But before I could untangle it, the girl’s mother came to meet my wife and told her “your husband doesn’t know. He is putting his hand on Yellamai’s jat. Yellama is a vengeful woman and if she gets enraged, she doesn’t rest till she has made a guy wear a sari (emasculated him).” It is over twenty five years since I untangled the jat and I am still roaming around in these (male) clothes only. From that one dreadlock, there were enough lice to supply the entire district of Satara. So our dispensary (Dr. Narendra Dabholkar practiced medicine till 1982) had women lining up to untangle their dreadlocks. Now the thing is, the woman who has a jat wears a cowrie necklace around her neck. Until that necklace called darshan must be put on another woman’s neck, there is no permission to untangle the dreadlock. You know what idea we did? Not we, my wife, I didn’t used to be there. When the woman who wanted her hair untangled said “I have darshan on my neck, what do I do?” My wife used to say “Put it on my neck”. So my wife used to wear the darshan and untangle her hair and our dispensary had darshans hung in rows. Nothing happened to us. Why am I telling you this? Because even today the reality of our society needs to be understood and it isn’t as simple and straightforward as it appears. I had gone to Nashik. Nashik is preparing from now for the arrival of Sinhastha (Kumbh mela) in three years. Last time, a mere (sarcasm) 70 lakh people had arrived on one day to bathe in the river at one auspicious moment. 29 died crushed. Now this time around the estimates are for a crore. India has a fertile mind. So a discovery has happened in India that is found nowhere else in the world. It goes something like this. Dev (Gods) and danav (demons) together churned the sea. 14 treasures emerged from it, the last of which was amrut. Now logically, if both did the work, they could have shared the proceeds. But Gods decided that they wanted to keep it all and started stealing it away. Both Gods and demons grabbed the vessel with amrut inside. 12 years they struggled to take it. In the process, one drop of amrut spilled on each of Allahabad, Ujjain, Haridwar and Godavari (Nashik). So we have discovered that in those twelve years if you go and at that exact moment bathe in the Godavari, your bank balance (karma) for sin for the last twelve years becomes zero. This facility can be found nowhere else in the world. So thousands of sadhus arrive in fancy clothes and cars. They need thousands of liters of shrikhand and tens of thousands of liters of milk. When they go for the ritual bath, they fight like little children over who goes first. They smoke marijuana. 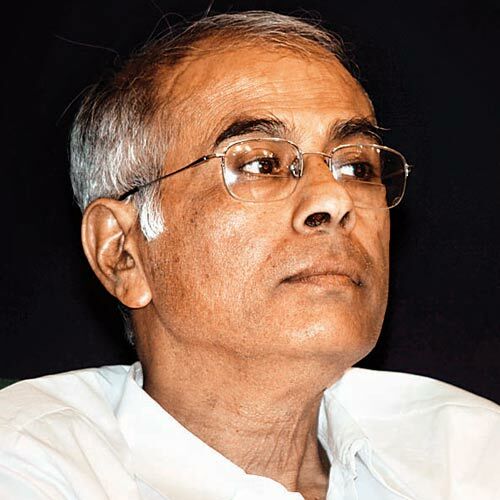 All this isn’t said by Narendra Dabholkar, but the one proclaimed to be equal to a sage in Maharashtra, who got a dnyanpeeth award. Kusumagraj (Marathi poet and author Mr V.V. 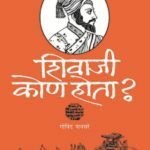 Shirwadkar) has a poem called Sinhastha – have you read it? He has described all this in it. [recites the poem – describes the excesses of the celebration and ostentatious “austerity”] And for this last year, 433 crores were spent out of state coffers. At a time when half the schools in Maharashtra didn’t have tin roofs or chalk and blackboard. I had gone there. I had printed copies of this poem and I had gone there to distribute it. Some Akashwani man saw and came over and interviewed me. And after the intervew, he hung his head and asked me if it would be okay if the interview played after the Sinhastha. The budget for three years later is 1300 crores. What is the priority? Whoever wants to go and bathe can go and bathe. Why is money being spent from our pockets on religious things instead of the malnourished children? The real problem is that we have all decided not to use intelligence. The biggest problem with traditions and orthodox practices is that we don’t understand what we do. This question is not related with anyone’s individual religious practices. Vata savitri is worshipped. Shyamchi Aai (classic by Sane Guruji) describes how Shyam’s mother is ill and she instructs him to go around the banyan tree on her behalf, and Shyam being male is ashamed to do it. She asks him, what is to feel ashamed in doing something good? I extrapolated this to what today’s Shyam’s mother would say and what today’s Shyam should say. Shyam is Sane Guruji. For the last fourteen years, I’m the editor of Sadhana, established by Sane Guruji, so I have a right to ask this question. What is the meaning of this? Firstly, after doing the vata savitri puja, the husband’s life gets extended, and secondly, every birth, for seven years, she gets the same husband. This is what the vata savitri tradition tells us. So, for a doctor like me running a hospital, it is very easy. Put on a saline drip for the patient inside, plant a banyan tree outside and give a bundle of thread to the wife. Tell her “here, your husband has been started on saline, you wrap this thread around the tree seven times. By whatever reason, what matters is your husband will be saved” The man you called Hindu Hriday Samarat, that Swatantraveer Savarkar has written that the banyan tree will shade the traveler under it, but when it is old and diseased, it will collapse on the traveler under it. Worshiping a banyan tree that doesn’t even understand whether to shade or crush the traveler under it is worshiping falsehood. This isn’t Narendra Dabholkar talking, it is the first Hindu Hridaysamrat Veer Vinayak Damodar Savarkar who said it. In Kolhapur, women were worshiping the banyan tree on the vata savitri day, going around the tree. A jeep came at full speed, one of the women was pulled into it by her arm, and it took off. It was outrageous. A woman was worshiping in the village and she got kidnapped like this, and people gave chase on motorcycles. The jeep wasn’t going fast and they caught up with it. They asked “don’t you understand anything? The woman was worshiping and is this appropriate?” The man who had pulled her asked the people “Do you know who I am?” “Who are you?” “I am her husband.” The people were surprised. “What’s wrong with you? Your wife was worshiping for your long life and to get you as a husband for seven births, what is your problem?” The man replied “Two years since we married, she didn’t even stay with me two months, I’ll stay like this or what for seven births?” I asked a woman who seemed clearly uninterested in the motions of the worship whether she was asking for the same husband for seven births, and she replied “I did ask for this same husband for seven births, only wished that this was the seventh birth.” What are we doing? What are we examining? We don’t even understand that the traditional practices and rituals we do. This is the end of part 2. Part 3 will be posted soon. I am priviledged and honoured that I’m walking on his paths. Wow! what a Gem we lost.